So I thought I'd throw up a quickie celebratory dessert up here in case you guys were interested in plowing into one of these every night in front of the Olympics the way I plan to. When we figured that Cal would be home in time for the Opening Ceremonies on Friday, I planned a fun dinner for us and thought I'd do something special for dessert. That was tricky. Dessert is not something we usually have, so my brain doesn't usually bend that way. I trolled some websites devoted to Olympics parties and kept coming across suggestions for White Russians. Can I make a White Russian for dessert? Can I make a White Russian for a kid? I've never been a fan of them, to be completely honest. I think it's the milk. But ice cream? Ice cream I like. So here again is a recipe that's barely a recipe. 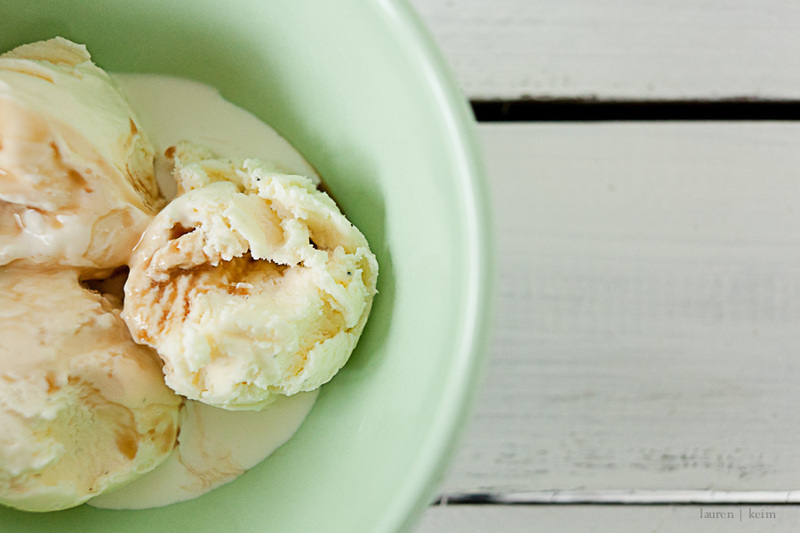 Grab some vanilla or French vanilla ice cream and scoop into a bowl. Drizzle with roughly two tablespoons of heavy cream and Kahlua. If you have a youngster or choose to go non-alcoholic, substitute a drizzle of vanilla syrup and bottled, sweetened coffee (Like a Starbucks Vanilla Latte... or heck, make your own.). Now all I need is a name for this baby. Any suggestions?